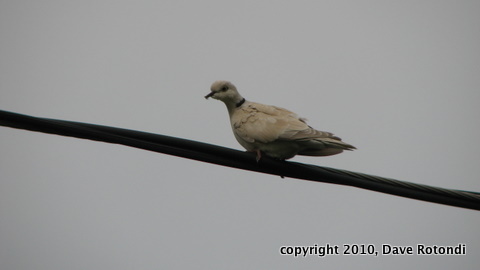 Dave Rotondi writes: "I spotted a Eurasian Collared Dove on Disposal Road [Saturday] morning, and thought I'd share. Have a great weekend." 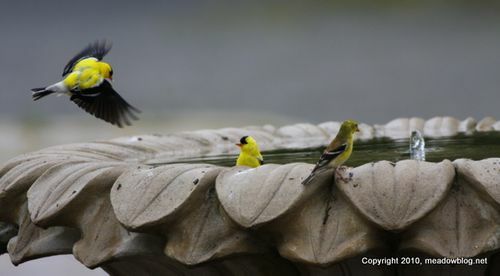 Looking for a place to chill this weekend, like the American Goldfinches pictured above? 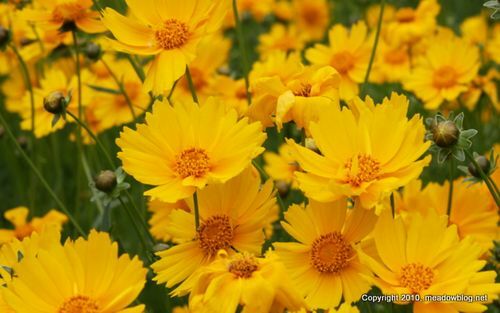 Might we recommend DeKorte Park, with its array of beautiful flowers and some pretty cool birds? 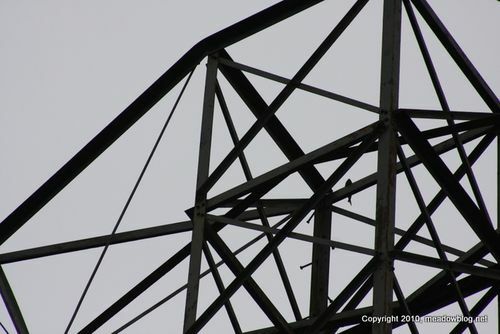 While looking for raptors that might be perched atop the electrical transmission towers by the Erie landfill, we looked up and could not believe our eyes. Could it really be a fish, 100 feet out of the water? Yes — thanks to an Osprey, no doubt — it could be indeed. Just goes to show: You never know what you'll see next in the Meadowlands. For detailed information and the complete June schedule, click here. "Mill Creek Marsh has reopened after extensive storm damage, so we thought we would schedule a field trip there on Sunday, May 30, at 10 a.m. We will be looking for shorebirds, herons and raptors." The walk is free and open to the public. Directions to Mill Creek Marsh are here. Ron Shields got some nifty shots of a notoriously hard-to-photograph Marsh Wren last weekend. "The last photo shows the wren with material gathered from the floor of the marsh. I will assume it would be used for nest construction. "Also seen but not photographed was my first Pied-billed Grebe since winter. "Calls from both coots and moorhen were heard sporadically from the depths of the reeds as well." If you have been anywhere near DeKorte Park's Lyndhurst Nature Reserve in recent days, you've noticed the accumulation of cottony seeds all over the place. 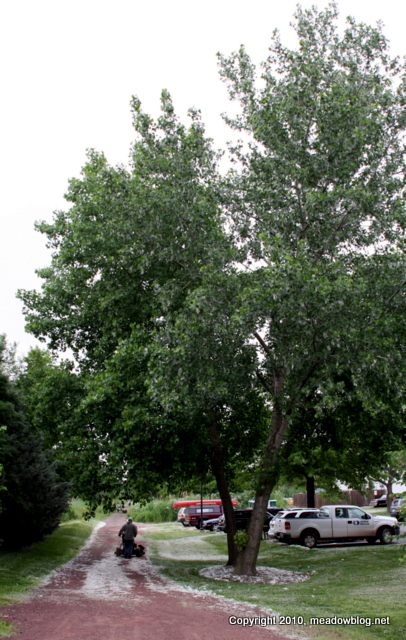 They are Cottonwood seeds — more about the tree (pictured at left) and the seeds here. 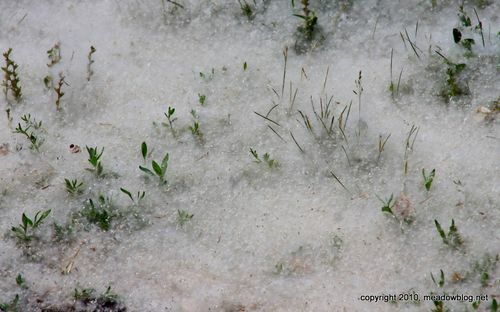 An earlier post on Cottonwood Catkins is here. While we await repairs to the Marsh Discovery Trail, we are offering free guided 90-minute walks of the boardwalk trail every Tuesday and Thursday. The next walk is tomorrow, at the entrance to the trail near the guard gate. Need more information? Call Jim Wright at 201-460-2002. 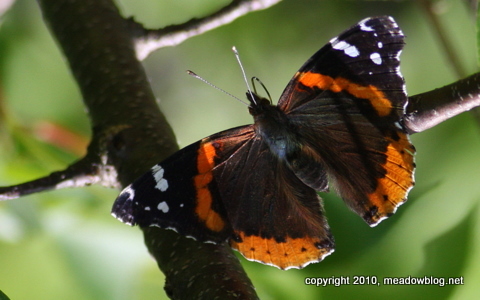 If you think you're seeing more Red Admiral butterflies than usual, you're right! We had a half-dozen on the Marsh Discovery Trail at DeKorte in less than an hour last week. 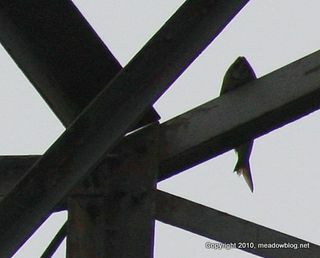 The one above was photographed at the Kearny marsh. NJ Audubon's Sandy Hook Bird Observatory had more than a hundred last week.